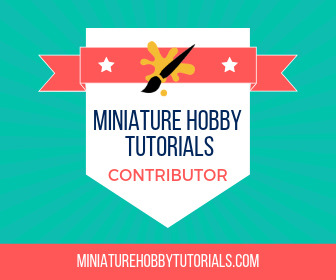 HomeMiniature HobbyWIP: Lootas and Grot Bots! WIP: Lootas and Grot Bots! One of the units I had always wanted to try out, but never got around to building, is Lootas. I’ve had a box of them sitting around for a while now but just never put them together. I didn’t assemble the burnas either, so that’s not my excuse. Another back-burner idea was heavily augmented gretchin that I like to call “Grot-Bots.” I built one lone ago to use as a meganob and I’ve always wanted to build a unit of them. As I pull my orks out of the mothballs I decided that it is finally time to get cracking on a Loota unit and to mix in some Grot-Bots for good measure! First off are the four basic lootas. Nothing too special here: the boyz are a mixture of parts from the Ork Boyz box and the Orc Regiment box with the GW dakkaguns mounted on them. Next is an old school loota. I’ve added more modern arms to bulk him up a tad. Other than that he’s a second edition era metal ork with a second edition era ork auto cannon. This one is a loota I built in second edition but never got around to painting. He’s from the 2nd ed. starter box. I decided to add some support framing to the gun to help him blend with the squad a little better. I’m planning to add some extra gubbins to spruce it up a bit. He’s a bit shorter than the others, so I may re-base him to add a little height. Then there are my Grot-Bots. The idea is that a mek and dok have teamed up and it’s much easier to pin down grot ‘volunteers’ for their mad experiments. This is the first one I built years ago. The arms fell apart at some point so I’ve re-built him a bit. For these ones I’ve used Gorkamorka cyborks as the base because I wanted to fill out the squad quickly and they are about the right size for juiced up grot bodies. So far I’m happy with the results. So that’s where I’m at now. I’ll give them one more inspection to make sure the barrels are all drilled out and the flash has been removed then they’ll be primed. I’ve got a busy schedule this week so I don’t know if I’ll make much progress painting. Until next time! Cool idea on the Grot-bots. I really like it. 6th Edition also made Lootas that much better as well so a good time as any to get these guys ready. Orky konvershuns always make me want to try my hand at building some Orks.